Although she only released two albums, she isn’t out of place amongst the music greats – the excesses of her personal life made her the subject of much media scrutiny, and often ridicule, but you couldn’t deny that voice, not to mention the poignancy of the songs she wrote, songs that weren’t just clever words and music, but had clearly come from direct experience – you knew she’d lived every word and every note, the mark of a true artist. By contrast, I remember that it used to bug me when I went into HMV and looked through the Soul CDs to find Joss Stone, a UK contemporary of Winehouse’s, racked alongside the likes of Otis Redding, Aretha Franklin, Marvin Gaye etc. Soul music, to my mind, isn’t a style of music, but something that goes deeper than a mere genre classification, something born of struggle. The songs didn’t have to reflect this directly in their lyrics, although many did – it was about the emotion in the performance. It’s music brought forth, sometimes torn from the heart – from the soul. Joss Stone is a talented girl with a fine voice. She’s obviously grown up listening to Aretha, and Whitney, and other Soul legends, and has assimilated their vocal style. The marketing people positioned her firmly in this tradition, and her record company brought in authentic Soul musicians from back in the day to reinforce her credibility in this direction, her debut album entitled ‘The Soul Sessions’. But this doesn’t make her a Soul singer – she’s a Pop star who sings in a Soul style. Soulful isn’t something you learn to be, it’s something you either are or you’re not – Stone’s ‘Super Duper Soul’ but a sanitised version of the real thing. 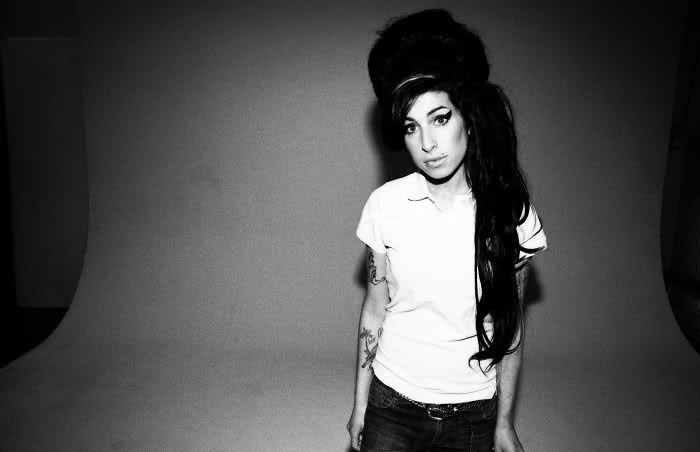 Amy Winehouse, however, very much sung from the soul. I’m pretty sure she understood that in order to find her muse she had to open up the darker corners of herself. Drugs and alcohol were central to her story, only recently she made a sad spectacle of herself in Belgrade, the great singer reduced to an incoherent wreck before an increasingly irked audience who’d paid their money and expected a performance. They got one, just not what they’d bargained for. Instead they witnessed the swansong of a turbulent artist whose destructive brilliance eventually extracted its toll. As they say, she lived fast and now she’s died young – her legend is assured, and she takes her place alongside Brian Jones, Jimi Hendrix, Janis Joplin, Jim Morrison and Kurt Cobain, all of whom also left this mortal coil at the same age of 27. The press quickly picked up on this fascinatingly morbid fact, but there’s no hyperbole here, for Amy Winehouse was one of the few artists of the modern era who can be spoken about in the same breath as the aforementioned icons. Just a few minutes after my wife had phoned to break the news to me she called back. If I’d have been with her I’m sure she’d have fitted the description ‘she looked like she’s seen a ghost’ – I could immediately hear it in her voice. On telling my son the news, in-between the two calls to me, he exclaimed ‘Oh my God Mum, that phone call’, and with those words a chill went right through her. Earlier that day someone had called on the landline, Tracey thought it was an old lady because she sounded fragile and frail. She was extremely distressed, sobbing uncontrollably, not able to get her words out. Tracey, naturally, tried to find out who she was or who she wanted to speak to, to which she kept saying ‘Amy, Amy’. Not knowing anyone named Amy, Tracey told the caller that they must have a wrong number, and they put the phone down, but she was concerned enough by this woman’s obvious anguish to check the number she’d dialed from, which turned out to be withheld. She put it down to either a wrong number or a crank call, and thought nothing of it until my son, who’d been in the room at the time and heard his mother repeat the name ‘Amy’, made the connection. 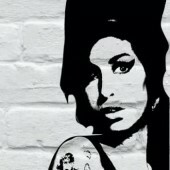 We’ve no idea who this was, and it’s certainly weirded Tracey out, especially given it happened a number of hours before Amy Winehouse’s death had been announced, but at a time, we’ve since been informed, that she already lay dead. No doubt a bizarre coincidence, but a disturbing one at that – if you believe in premonition this was certainly an instance of it. ‘Tears Dry On Their Own’ was my final track that night. I’d planned to feature ‘Back To Black’ as the Living To Music selection for September. The idea was to have ‘James Brown Live At The Apollo’ in August, the oldest album to date, then follow it up with ‘Back To Black’, the most recent recording selected. However, given the circumstances I’ve decided to switch the order, with ‘Back To Black’ now featuring on Sunday August 7th. I am now almost sure you are a lovely man with what seems like a wonderful family. You play such great disco music. That was a lovely piece you wrote. Whatever about Amy; there are enough people who care about her that will write many beautiful lines. I never really cared. I saw her a few years back at a jazz gig in Dublin. I feel sorry for her fans and her family. Anyway nice words fella. Too bad about Amy. Sad that all these greats passed at age 27. Coincidental that John Lennon put “28IF” on the Volkswagen license plate on the cover of Abbey Road. Really glad you’ve seen the Russell Brand piece on her Greg, was a really fine piece of writing too. Such a tragedy we won’t hear her again, she had ‘it’ in spades, was just flowing out of her. There’s been a lot of words written on this subject since Saturday already: unfortunately some of it is quite hateful and vindictive by people who should know better. This is by far the most measured and perceptive view I’ve read out of everything so far and I don’t think anyone could have done a better job. Wise words Greg, at last some comments with a bit of perspective. spot on greg , u stole my fire i will miss her voice , her soul ,her pain , she gave an awful lot of herself to ” do her thing” she cud have done so much but i think she did enough , i can just thank her for her works. hope she finds some peace now, she has earned that at least…. Such a waste of a life and talent. Like others have said, some spiteful rubbish on the internet etc. Addiction and troubles afflict the non-famous also and it does not mean they are not loving or caring people of value. A nice balanced write up Greg.